West Ham could potentially target Everton left-back Leighton Baines in the January transfer window, according to Football.London. The news outlet claims that Baines, 33, may be lined up by the Hammers due to the poor form of Arthur Masuaku and Aaron Cresswell, however doubts remain about whether the Goodison Park mainstay has the legs to provide extra quality at left-back. Baines, who has been on the books at Everton for 12 years, has made five appearances in all competitions this season with Lucas Digne taking his spot in Marco Silva’s starting line-up. Baines was a brilliant left-back however over the last couple of seasons it has become clear that the former England international is not the player he once was and he is very prone to injuries. The 33-year-old’s contract is due to expire at the end of the season so he would be available on quite a cheap deal and it would be unlikely that he would demand more than his current £70,000-a-week (Spotrac) wages at Goodison. However with the direction West Ham are going in and the fact that if they sign a new left-back he would have to be better than Masuaku and Cresswell, Baines would not be a good signing at all. 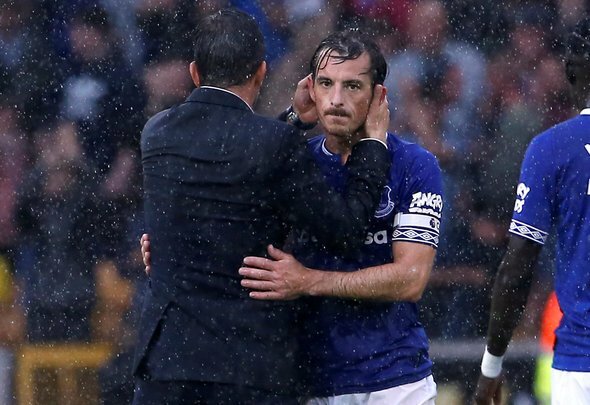 Baines has been at Everton for a long time and knowing someone as loyal as him, he will more than likely want to see out his contract, have a testimonial next summer and then head abroad. He was linked with moving to the MLS in the summer just gone, but a move never materialised for one reason or another. Seeing him in a West Ham shirt just does not seem like something that will happen.